At my house, you just can't go wrong with any treat that has chocolate. 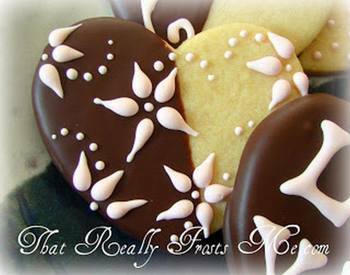 How about some chocolate dipped cookies? This is a homemade valentine that is sure to please! They can easily be personalized by piping names or initials.